This was a full day off for me. My body was having a lot of reactions to the work and the travel so I staying home and rested in the morning. In the afternoon, we had an intense conversation using some of the new teachings. The new ideas about boundaries and vulnerability are peeling away layers in me and it was powerful to access new aspects of my truth. Eventually the rest of the folks came home and we ended up in the hot tub (again!) I really want my own hot tub!!! Outdoor channeling day! 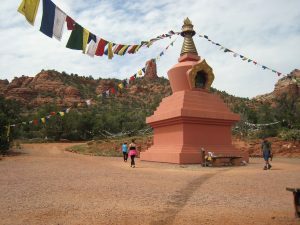 When we were first talking about a Sedona event, I knew it would be a great place to have our first ever outdoor channeling session. I’ve been working on a hip issue for a few years now (you might recall seeing me use a wheel chair during our London events). I’ve been seeing a Pilates instructor weekly since about July and it’s made all the difference! I was thrilled to be able to walk to our outdoor location. I made a video so that you can come along with us! It was a lovely session in a beautiful spot! I made a video showing our journey from the house to the final channeling spot. Well, really day 4.5. I woke up about 4am and had a chat with Eloheim. I realized that I needed some support processing a few things that had come up for me. Eloheim ended up crafting an entire teaching to answer my question and (of course) tied it into the teachings from the previous channeling. E and I talked for over an hour. Thankfully I managed to sleep afterward. I was a sleepy head in the morning as I shuffled out to the group. Mindy propped me up by making breakfast and all the laughter and powerful conversation did the rest. Tiffanny helped me by drawing up one of the diagrams that E had made the night before so that E could refer to it without having to redraw it. I showered and we all settled in for the channeling session. It was a second white board session continuing on from the day before and incorporating all that E and I had talked about during the night. I CAN’T BEGIN TO DESCRIBE HOW HELPFUL THIS SESSION WAS!!!! First full day at the house. Mark was playing tour guide and took us to a special spot. 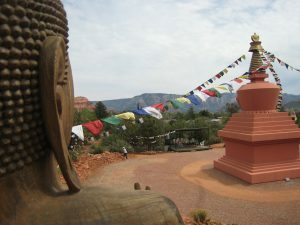 A Buddhist Peace Park. The energy there was really strong. It swirled in a clockwise direction. At one point I said to Mindy, “I wouldn’t even try to walk counter-clock wise and I bet you would fall down.” It was STRONG energy. They had erected a structure and the tradition is to walk around it three times. This interview is great and wasn’t really easy to access online so you probably didn’t hear it unless you listened on your radio in New York! This was a slower paced, thoughtful interview that introduced Veronica and Eloheim to the Upstate NY audience. The host shared a wonderful give and take conversation with Veronica as they discussed Eloheim’s body of work and how it affects people’s lives. His questions ranged the gamut from Who is Eloheim? to What is the Soul? to What is the goal of the human being? 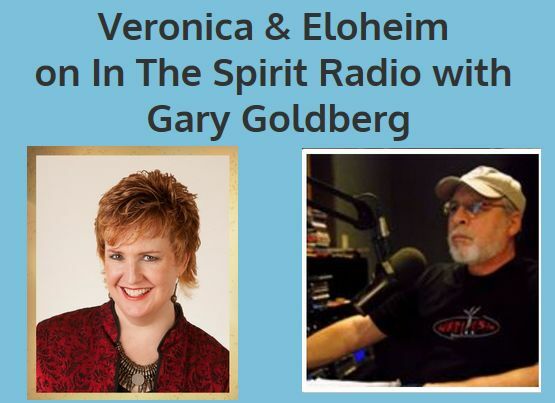 Veronica, as usual, added her own warmth and knowledge to the interview as she talked about the soul having a different perspective and how we are here to do more than cope with life. She emphasized that we are choosers in this life, and that every moment requires a choice of how to act and react, think and believe. 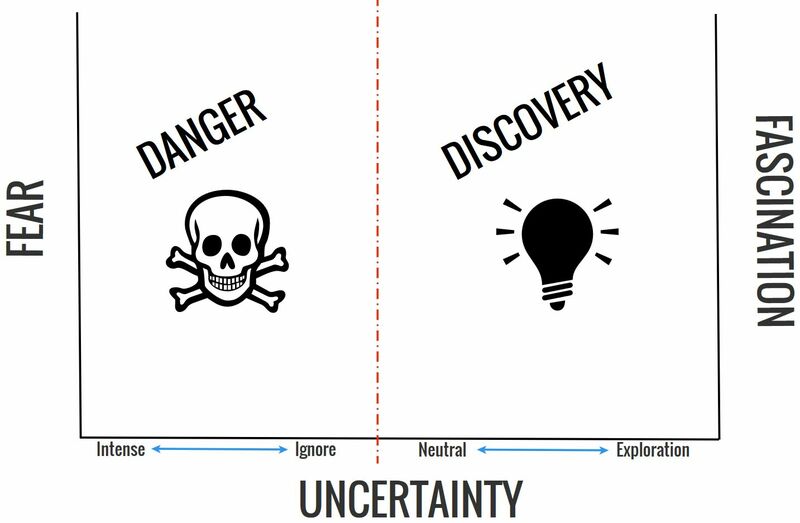 Most importantly, we are here to explore uncertainty for our own personal growth. Mindy picked me up and we loaded the car. Between her stuff and my stuff and the recording equipment, mic stand, tripod, white board, and WHO KNOWS what else, it was a full car. We laughed that had we had anyone else join us for the ride, they would be riding on top of the car! We got about a mile from my house when I realized that in all the packing, I had forgotten my PURSE! Giggles and a u-turn and the purse was recovered. 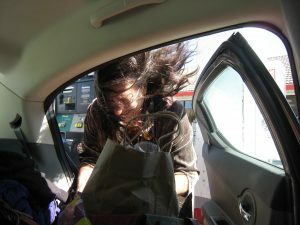 When we stopped for gas (and snacks), it was so windy the gas pumps were swaying! Our drive was full of laughter. We stopped for food someplace in the middle of California. I’ve done a ton of traveling by car and one thing that I’ve learned is to take the opportunities that arise to try out new/wacky things. This was one of those times. We could have had fast food but who could pass up this place? It was like 27 gift shops from various places all under one roof: so many goofy gifts, a cheese shop, a wine tasting, an ice cream shop, a huge antique store, a shooting gallery, a restaurant, a play area, animated animals heads that sing……on and on it went. It was HUGE. The host with the “chocolate voice” charmed Veronica and Eloheim in this radio interview. During the first few minutes, Al chatted with audience alone before bringing on Veronica. He spoke of his own work, his understanding of what Veronica’s role as a “channel” is, and who Eloheim are, as channeled by Veronica. Al’s very first question for Veronica was, how does a nice girl like you become a channel? Who is your community, he wondered, and who do you attract to this work? 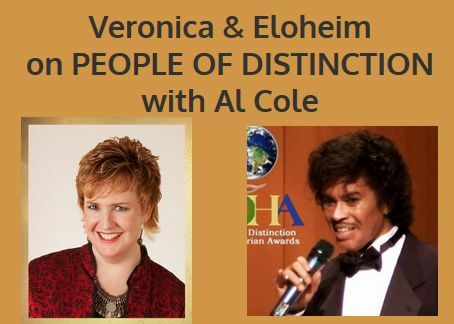 After speaking with Veronica for a bit, Eloheim was introduced, and they expressed a great admiration for Al’s voice, referring to it as a “chocolate voice.” Al laughed and said he felt immediately comfortable with Eloheim – – as do most people. Is Eloheim a part of the human family? Is Earth the only planet to offer the opportunity to do what we do? Following up on Eloheim’s previous answer, Al wondered about density, duality, and diversity. Can human consciousness now give back something to Eloheim that will elevate them? Do we ever get to a point where we are “there?” Where we have fulfilled the purpose? What followed was a fascinating discussion about God/Prime Creator/Head Honcho and who then, exactly, is Eloheim in relationship to God. Briefly, Eloheim explained, “All That Is contemplated itself and in that contemplation, divided itself.” We are a part of that, they said, as Veronica is a part of us. Eloheim made it clear, “we are not God,” that we walk side by side with you. They acknowledged that this is all a very complex subject. At this point, Al amused Eloheim with his “one more question” request. His one more question was about All That Is/Head Honcho’s reasons for wanting to know itself. As a final question, Al wanted to know what Eloheim’s name for God was. Today’s Sharing Sunday is from Hayat Donna Bain. Thank you Hayat for offering your journey to us and for your companionship along the way. I began my journey with Eloheim in early 2011, during what was perhaps the most challenging year of my life, a year filled with exhilarating heights and devastating lows. I had attended a weekend workshop on sacred temple making, based on sacred geometry principles, and had met a beautiful light-filled person there who became a friend. We connected on Facebook after the event and one day soon after that, my friend posted an Eloheim video. She had attended a Wednesday night session in person once and had continued to follow Veronica’s work with Eloheim. Right now I can’t tell you anything about that video, except that it grabbed my attention. It led to something I’m sure many of you can relate to. Once I watched that first video, I could feel the power of it and the potential for the transformation I was seeking. I wanted MORE! I was on an insatiable quest to learn more about myself, about the true nature of life, and about how to raise consciousness. I immediately thought that these were the most down-to-earth teachings I’d ever encountered and they came from a disincarnate being! I watched as many videos as I could and gobbled up as much as I could from the website. As time went on, I purchased books and began to listen to the Wednesday night channeling sessions and participated in the online Q & A sessions and recorded public sessions as they were offered. In preparation for writing about my journey with Eloheim and Veronica, I looked back through my journals and notes I took related to my private sessions and to the public sessions. 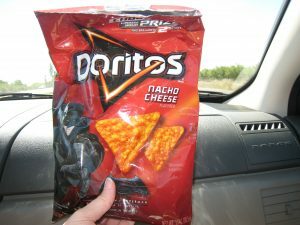 I had my Core Emotion session on 10/14/2011. It was an incredibly difficult time in my life for many reasons. My husband had lost his job a year before and I was working part-time. We were both having a challenging time getting fully employed. When our townhouse lease was up that August, we had put all of our belongings in storage and had accepted an offer from a friend and her family to stay with them for a couple of months while we continued to look for work and a more permanent and sustainable place to live. We had used up our savings and modest retirement account during the period of unemployment and were essentially “homeless” and accepting government food assistance. (What an opportunity to be in Level 2 – Victimhood!) 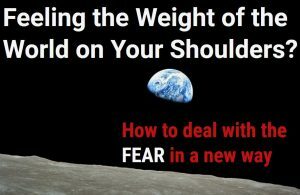 I was living in fear and definitely NOT comfortable with uncertainty – especially not as it related to our living situation…my survival instinct was completely triggered! My core emotion session really helped me focus a spotlight on what was underlying so many of the challenges I was facing. 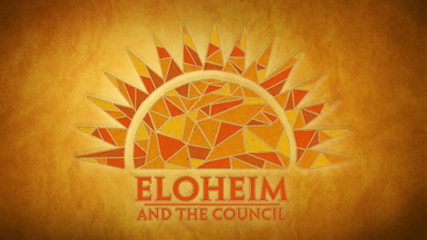 Since that core emotion session I’ve had a number of private sessions and have participated in as many opportunities to connect with Eloheim, the Council, Veronica and our community as possible, including the first 3 of the Sonoma retreats. Last year, I very much wanted to attend but came to the conclusion that I needed to prioritize some other things to take care of myself and my family, and other events I’d committed to, and not push my way into making it happen financially, which I felt I had done the previous year. So I let go of participating for that year. 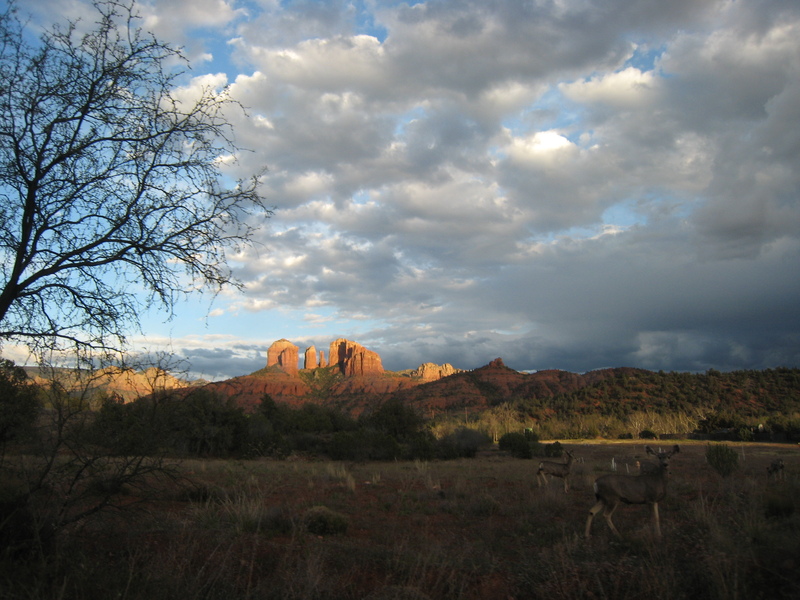 I highly recommend participating in any of the retreats offered as they are an opportunity for a powerful surge in spiritual growth and clarity around one’s trajectory and how to take action from a conscious, centered and authentic place. And of course the retreats are a huge opportunity for connecting with our beautiful Eloheim family! My participation led to the blossoming of real friendship with some in our online community and to an ever deepening sense of mutual support for each other’s journeys. This year I very much want to attend, and am open to the possibilities of how that could happen. We are putting our house on the market soon and selling it is one way that it would be possible for me to afford to make the trip from Virginia once again. 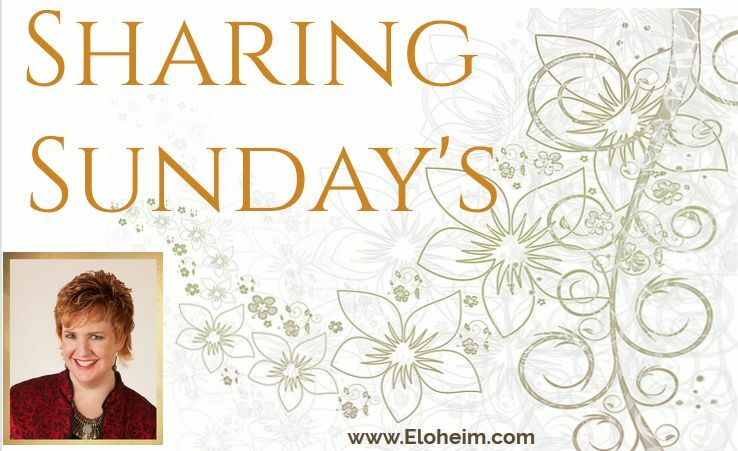 I have learned much from many spiritual teachers and guides, but with Eloheim’s teachings and tools I can feel the emphasis on grounded action that comes from a conscious, heart-mind integrated, awareness-led place. And the Council has added dimensions to the teachings that feel like facets of a crystal. As I turn the tools and teachings over inside myself, and experience them through the prism of each Council member’s perspective, I gain clarity and see how it is that I can embody what I’ve learned in order to bring more of the truth of me into the light. I was just thinking about each time I sat with Eloheim during the Sonoma retreats. 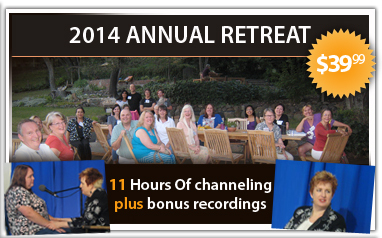 During the last retreat I attended, in 2014, we discussed a couple of things that were huge. One was an issue that I didn’t fully understand until a month or two after the retreat. Eloheim sent me away from the retreat to excavate what was going on for me under the surface. I really didn’t know. As I worked within myself, I uncovered that I was still dealing with a deeply buried sense of unworthiness and as I think Eloheim or perhaps a Council member (maybe The Girls?) has termed it – “I suckage”. That’s squarely in “don’t be mean to yourself” territory! They also said something about an image of me trying to pull open the petals of a flower…the flower being me….rather than allowing the truth and beauty of the essence of me blossom and unfurl organically and naturally from within. All of this relates to my core emotion, of course! I’ve come a long way with all of this and the journey continues and deepens daily. I have been working with and integrating these particular issues and teachings pretty intensely ever since. Whenever I work with Eloheim directly (or even with just the tools and teachings) I know that there will be the practical tips and suggestions, and there will be the deeper learnings and healings, and then there will be the REALLY deep excavating, learning and healing, which sometimes doesn’t bear fruit for months or years after the session. I am often not one to have a sudden, earth shaking moment of realization or breakthrough. Perhaps you can relate. These things usually dawn on my consciousness gradually. The breakthroughs are no less momentous, but sometimes it feels less so because the transformation happens little by little over time. So I use the tool “Compare me-to-me” and look at how I have handled situations in the past as compared with now. And there is no doubt that I have been growing and transforming! Many things that used to trigger me don’t anymore and so I am spending much more time in either neutral observation or in fascination as life moves around and through me. This brings me to the topic of my website. 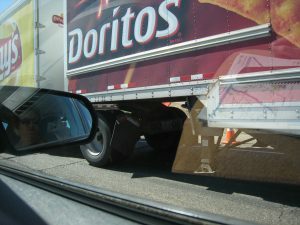 If ever there was a vehicle for self-examination and self-expression, this is it! At times I’ve been tempted to be mean to myself about various aspects of the journey to create a website which is really an expression or extension of ME. I went from wanting to have a website for my fledgling business, Mandalas of Life, to “50th Stepping” and being stuck in Level 3 in the “Levels of Creating” (“I create my reality and I don’t like what I’ve created”) and in favorite familiar suffering (FFS) to…..choosing a domain name, a template, a logo and the information and images I want online. When I look at my core emotion that relates to not being able to fully be me in the world if I can’t predict others’ responses or how my being me will affect them, it’s not a big leap to understanding why creating a website and really putting all of me out there in the world would have been challenging for me! In nearly every interview they’ve given during the past few months, Eloheim spoke about “creating a website” as an example of something that many people they talk to want to do. I felt like they were talking directly to me each time! Among other things, they spoke about approaching such projects in a step-by-step way, rather than focusing on the grander vision of the 50th step. It’s been such an “easy” yet hugely painful thing to just stay “out there” in the future on that 50th step, and then go into the well worn FFS patterns of confusion or self-doubt or self-recrimination…rather than focusing on the actionable minutiae of the 1st, 2nd, 3rd, etc. steps, one at a time, to actually create something. During the past year or so while I was intending to have a website but wasn’t actually taking concrete steps to create one most of the time, I kept the “Leaving Level 3” card (from the “Levels of Creating” card deck that Veronica offers) within view on my desk. •	What is true now? •	Billboard: What would I prefer to put on my energetic billboard if the current situation weren’t occupying the space? •	What film do I have in my camera? •	Which version of me answers the door/handles this situation? •	How would I describe this situation neutrally, and in short factual statements? •	Hamster wheel mind: Breaking up the pieces of the hamster wheel (my thoughts) and laying them out to explore individually. •	Everything is happening FOR me and it’s all my first choice. So….I have now taken LOTS of little steps and my website will very soon be ready for public viewing! It is a work in progress. One of the steps I had to take was paring down my idea of what “create a website” meant. I began with my recovering perfectionist’s idea of a “website” as being one with gorgeous graphics and multiple pages, tabbed from the homepage. One for each aspect of my work. I finally heard the message from Eloheim and others that the essential thing was to simply put something up online. I can return and build on the basic page later, as things evolve for me with my business. 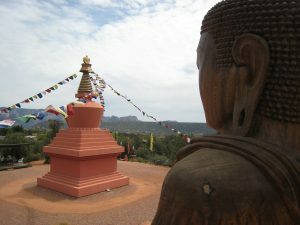 After April 5th, go to www.hayatbain.com to see the beginning of my web presence for Mandalas of Life!! This is a huge step for me! One of the opportunities that has arisen for me lately is that I’m one of about 20 people to be featured in a free online summit for the “Living the Miracle” network. That invitation had a part in spurring me on to create a webpage. I have provided some musical tracks of both interpreted composed music and improvised music for downloadable bonus material that is meant to support the Summit participant in his or her journey of transformation. Once we know the date the Summit will launch, I will let you all know. I’d love your support and to offer whatever I can by way of supporting your journey as well. Currently in my journey with Eloheim I’m becoming ever more conscious of being an energetic leader as I move through life. I’m noticing where I tell stories and use labeling to contract and limit myself. I’m becoming more aware of subtle forms of being in victimhood. I’m exploring and integrating what I’m learning from Eloheim about the relationship between the body, the personality and the awareness or soul. I’m accepting and loving the authentic ME in all of her ways of being and expressing, “warts and all”. And I’m weaving Eloheim tools and teachings into my work with individuals and groups. This is happening without even trying as I have been gradually living into and embodying the material. Some of it is just bound to bubble up and flow outward! I feel so grateful for your companionship on this journey we are all taking together. And thank you, Veronica for your energetic leadership, your fierce vulnerability, your generosity and your courage…and so much more! 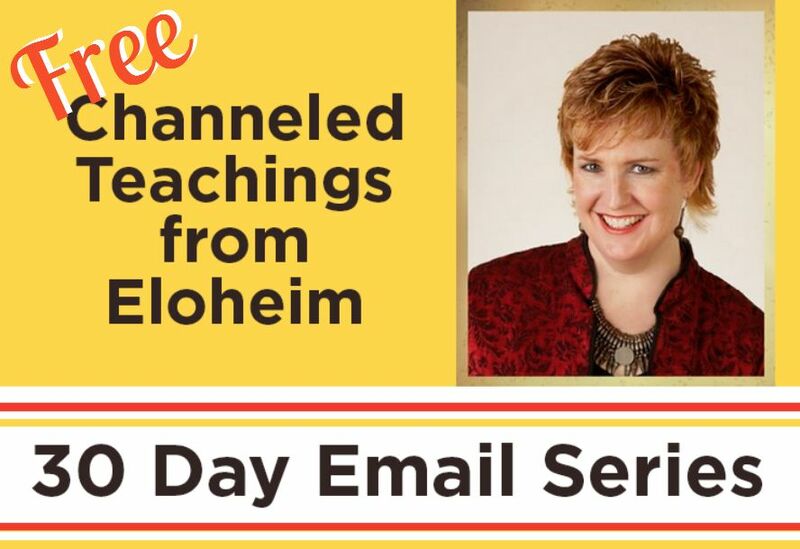 It’s wonderful to see how you have been able to integrate Eloheim’s teaching into your life! 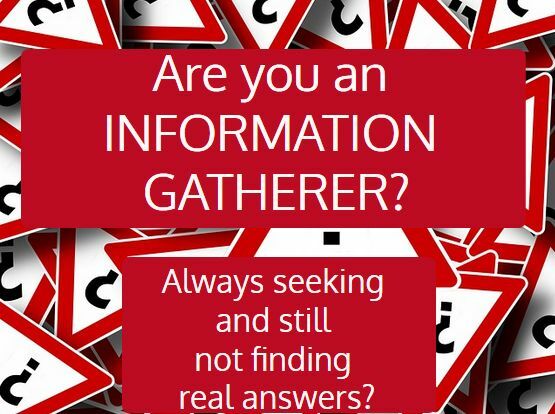 Are you an Information Gatherer? If you’re one of those people who have read every book, watched every video, and followed a myriad of different teachers on any or all subjects that interest you, then you are what Eloheim terms “an information gatherer” and this conference call is for you. In this call, Veronica and Eloheim talk about the ramifications of being an information gatherer, including how it leads to our favorite familiar sufferings, uncertainty, and being overwhelmed by the sheer amount of information we have gathered, which usually leads to not knowing how to use said information before we give up and move on to the next piece or teacher. There’s a preprogrammed thing –the survival instinct — that says run away from discomfort and uncertainty, Veronica said, and the only way only way to get to insight is to go through the discomfort to the other side. Along with the information gathering process, there is also a tendency to use the body to set boundaries instead of using our words or actions because we don’t want to abide in the discomfort of uncertainty. This boundary setting comes out in many different ways through our bodies. Stomach and skin issues for example. Missy Crazy was also referred to in this discussion as a response to setting boundaries far too late in the process. Do you ever find yourself in the Missy Crazy zone? At the end, Eloheim popped in to talk to the group and had a brief question and answer session with those on the call. During this time, a new tool was created in response to a question about pivoting. Eloheim calls this one the “Shift Your Weight” tool. My childhood was instilled with all the rules and boundaries of how to be, who to be and what my exception should be, and that others would always know better than me. I was a good girl so I lived that extraordinarily well; through my childhood, my relationships, my work experience and ultimately my marriage. My core emotion is being “disregarded” – Ha! Big surprise… combined, they did not lead me anywhere near the life I wanted. I began searching for something else – anything else – as internally I have always struggled with “this really c a n n o t be all there is”. I searched for decades trying every new “solution” I found, and yet they had no staying power mainly because the results were short term, intermittent or even unattainable. I found Veronica and Eloheim via a YouTube video the year prior to the councils’ arrival. Although I did not know it then – they would provide me with all the step by step actionable pieces that I needed to change my story. I have always believed with all information, that you should take what make sense to me and to leave the rest. Even though there are things that I do not understand, that I may not relate to within the group – either conversations or experiences, I know that it does not matter. I do not have to be the same to fit in or conform in anyway to obtain success with the work. Eloheim did not provide me with duct tape fixes; instead they offer life changing, day to day workable tools that over time creates a stronger unique you, inside. My core emotion no longer gets to be the guiding force that directs my life experiences. Which leaves me with room to have new experiences. I have no idea what they may be, and I am ok with that – because the only thing I need to know is that it will no longer be the way it was. Been there. Done that. And I have thrown away the T-Shirt. Thank you for sharing Darcy! See you soon!!!!!! !